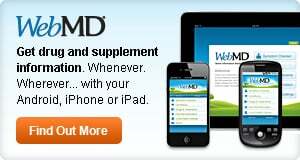 Read user comments about the side effects, benefits, and effectiveness of WelChol oral. The pills are huge, hard to take and expensive, but I can't tolerate a statin and this drug has reduced my cholesterol. Only side effect is occasional dyspepsia at night. Drug works well, but so expensive. Mfg. sure has us over a barrel about price, and no generic in sight. I can't take statins, so this is my only alternative. Even with m/c part D, co pay is now up to close to $500 for 90 days. Where is the extra help when seniors need it? But, drug does do what is stated it will do. I take this due to high cholestrol. Very expensive however Optum RX sent a letter saying a generic may be available in the next 6 months. Makes me very tired and have been having back and side pains. No blood test sine taking it but hoping for the best. My cardiologist recommended Welchol because I have fibromyalgia and statins made my muscles hurt even more. The drug has lowered my cholesterol but to my surprise, it has solved my digestion problems. I no longer get heartburn or GERD, and food gets digested much more quickly. The only problem I have with it is the expense. I don't take 6 a day because it's just too expensive, I take two. I'm sure that my cholesterol numbers would go lower if I took more per day.